The Sunstate Sands Bundaberg Dried Silica Sand product at Coonarr, is unusual in that the mine can deliver material from below 250 microns up to 5mm. 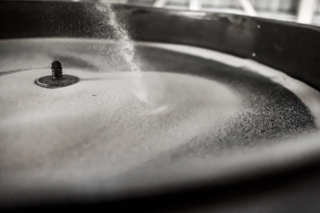 Once the sand is initially separated through our wet plant, it then run through our dry plant where it is run through a rotary drier to remove all moisture which enables effective separation of the sand according to size over large flat deck screens. We are able to supply all sand sizes in dried and packaged format, ranging from bulk delivery via pneumatic tankers, to 1.5 & 1 tonne bulk bags and down to 2okg bags.